Mold & Mildew in your home making you or your kids sick? 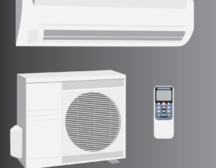 When your AC system is not working properly it could be a minor problem that can be fixed by you. But, in case the issue persists, you should call a certified technician for troubleshooting. Is your boiler ready for the winter?